DAVID LE/Staff photo. 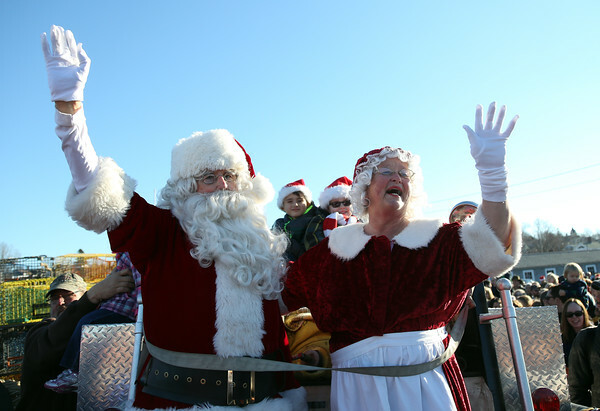 Santa and Mrs. Claus wave to hundreds of cheering spectators after boarding the back of a fire truck at T-Wharf in Rockport on Saturday afternoon. 12/5/15.